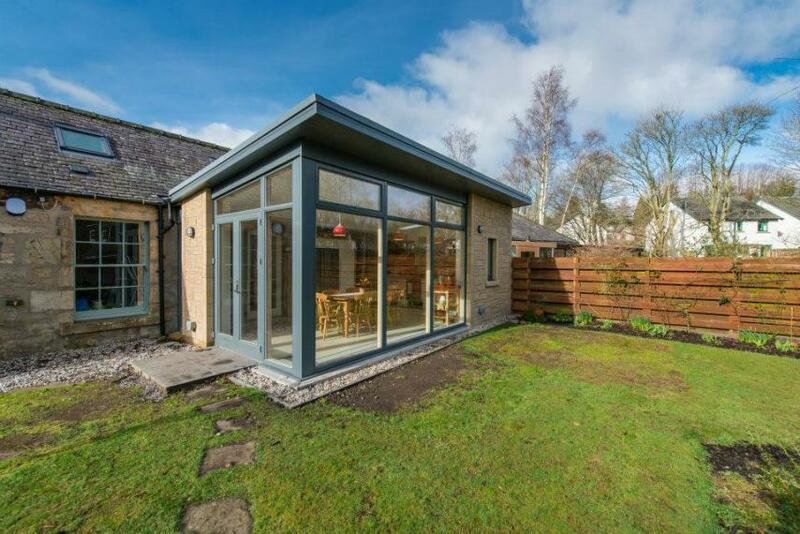 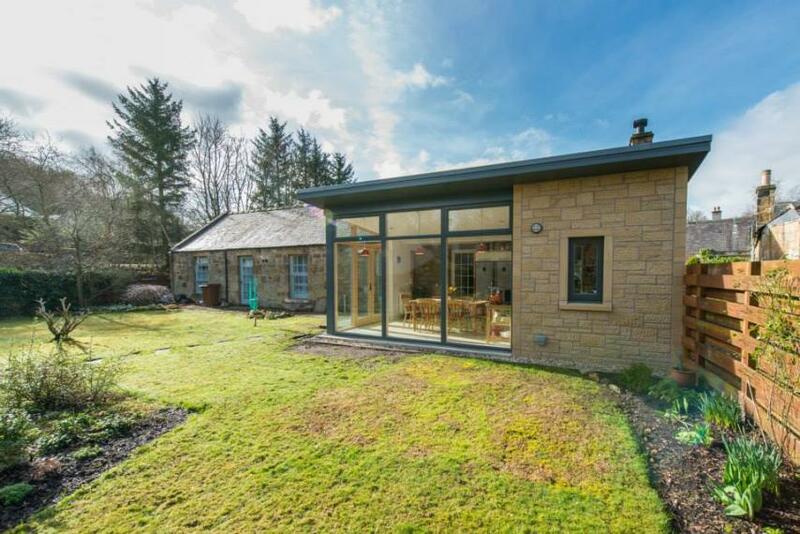 Located near the banks of the Esk, this extension was formed to provide a new kitchen / lounge space. 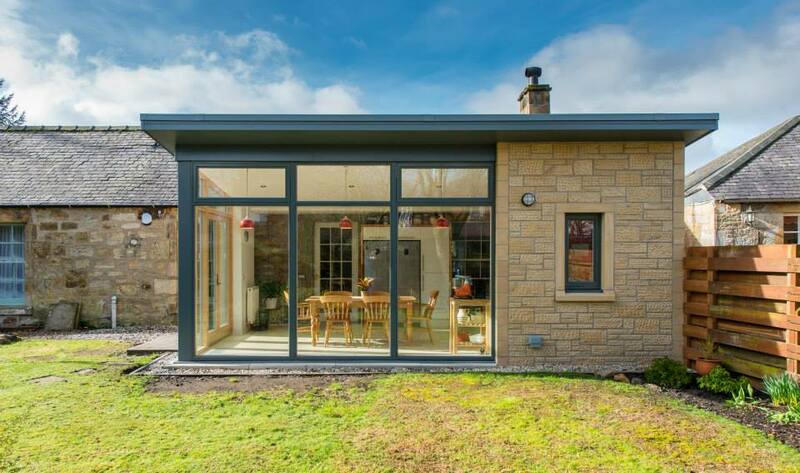 The structure comprises a concealed steel frame supporting the roof and cantilevered edge, timber frame clad in stone and feature glazed corner. 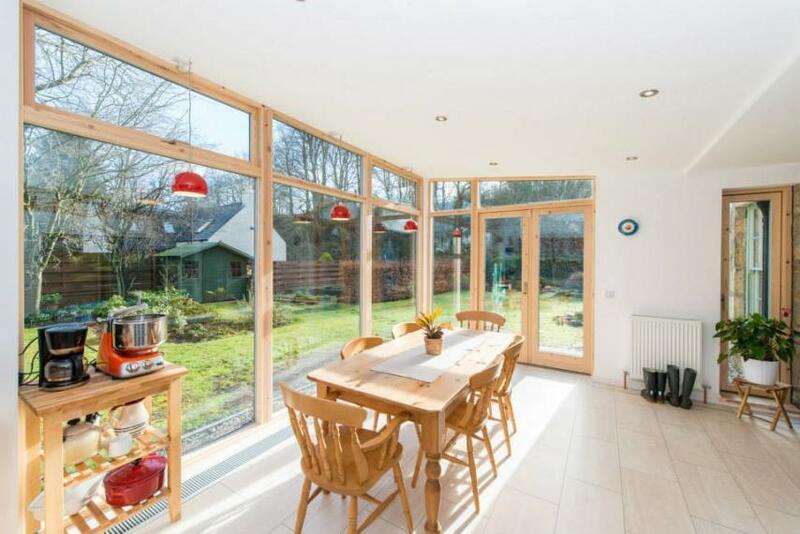 Internally the existing roof was altered to provide an accessible mezzanine level.